Has anyone ever asked you to be fragrance-free or told you that your fragrance is affecting their ability to function in some way, and you didn’t know what they were talking about? 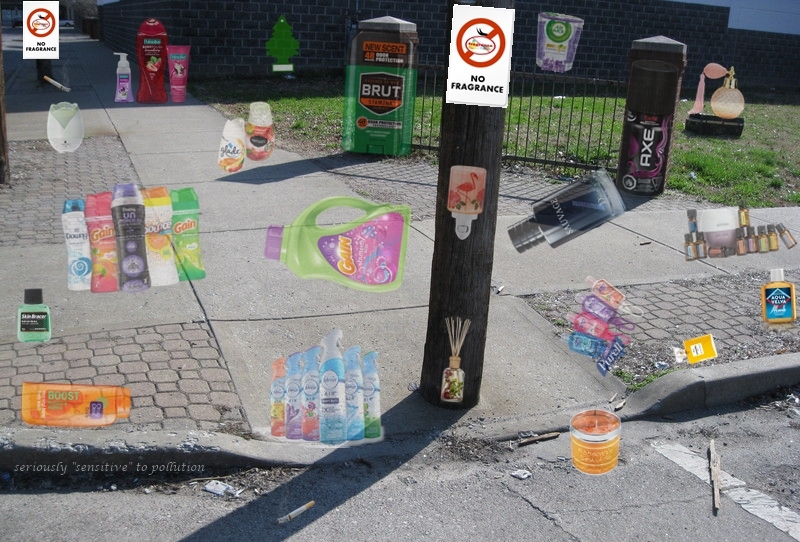 You may or may not have heard that fragrance-free policies are becoming much more common now since so many people are being adversely affected by fragranced products. 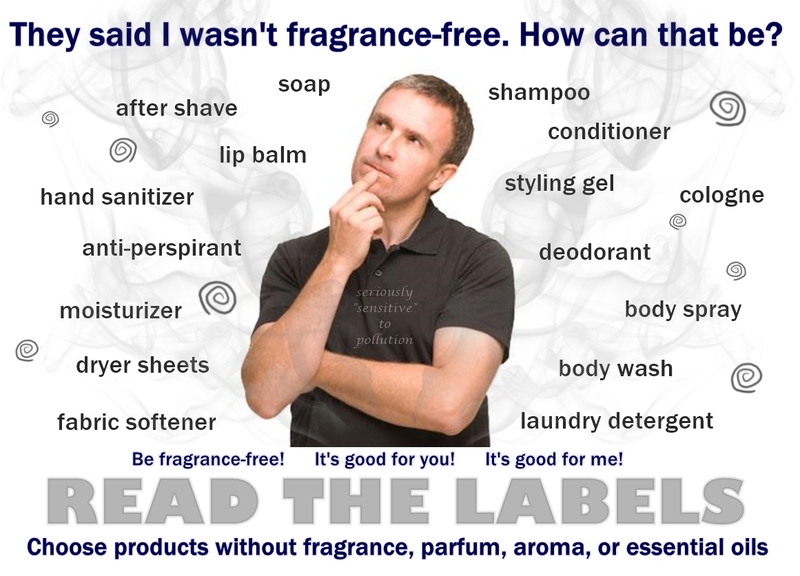 Unfortunately, many people still don’t know why fragrance-free products are healthier for themselves and others, or unaware how common fragrances are! It’s not just perfumes and colognes! I’ve had people tell me they didn’t use any fragrance when they couldn’t name a single product they used for laundry or personal care and cleaning. I’ve had people tell me they didn’t have any fragrance on when all of their products had fragrance listed in the ingredients. People have also said “but I don’t smell anything”, or “I only used a little this morning” (or yesterday, or the day before yesterday). Think about that! Read the labels on all of your products, if you haven’t already. There are all kinds of undisclosed and toxic ingredients in everyday fragranced products that are linked to cancer, birth defects, and other chronic illnesses. 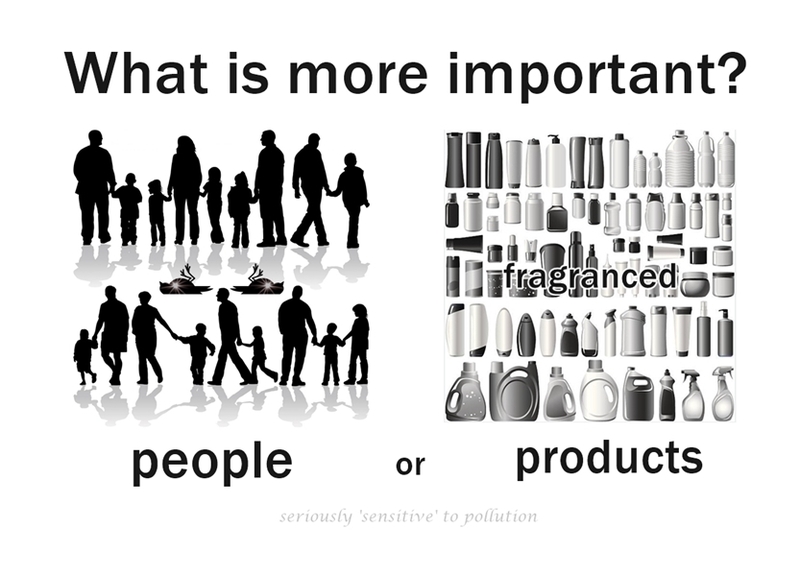 And it’s not only the fragrances from the products you washed with or applied to your body, or the residues of laundry products in your clothing that are problematic! Did you ever walk into a room where people were smoking, or have have smoked in the past? The UK has released their Clean Air Strategy 2019 document and it contains some groundbreaking measures that, if implemented, will have very positive impacts on the environment and our health. It encompasses many areas of air pollution, including indoor air pollutants for the 1st time in any meaningful way, which as NOAA recently pointed out, have as large an impact on outdoor air pollution as vehicle exhaust! The few news reports I saw did mention air “fresheners” and perfumes, with some building materials, but didn’t get into details. 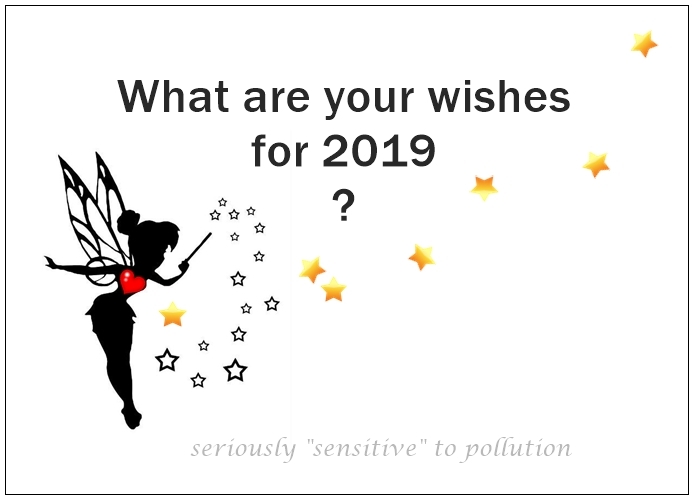 I had to dig through the document and what follows is most of what pertains to our interests here, being seriously sensitive to indoor pollutants. I’m sure that other sources will focus on the regular types of outdoor pollutants quite well, while mostly ignoring the indoor products and materials, so I will not touch upon them, except for a few illustration screenshots from the report. I’ve added very little of my own commentary. It’s almost entirely copied and pasted (and reformatted) from their document, so you can see for yourself what their plans are regarding NMVOCs (non-methane volatile organic compounds) from consumer products and materials that leave so many of us disabled and housebound, and unfortunately, far too rarely in a home that protects us from exposures and contributes to our well-being. Many people are unaware that emissions in the home increase personal exposure to pollutants and contribute significantly to our overall national emissions. Burning wood and coal in open fires and stoves makes up 38% of the UK’s primary emissions of fine particulate matter1 (PM2.5). Harmful sulphur dioxide (SO2) is emitted by coal burned in open fires. Non-methane volatile organic compounds (NMVOCs) from a wide variety of chemicals that are found in carpets, upholstery, paint, cleaning, fragrance, and personal care products are another significant source of pollution. We are not trying to make your life difficult. We’re just asking you to choose products that don’t disable us. Yes! Everyday products and materials can disable us. There’s actually a lot of info out there that the things that disable us are harming many other people too, just in different ways. An info dump of links are included below. Take your time and read through them, as you will learn things that will help you protect yourself and your family in the absence of product and material regulations that should exist to protect us. to the point of undue hardship. 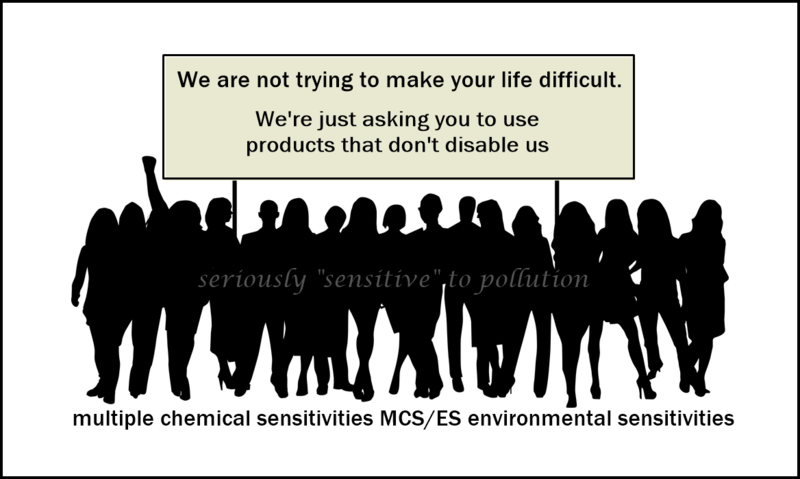 MCS/ES (multiple chemical sensitivities / environmental sensitivities) is a disability recognized by the Canadian and Ontario Human Rights Codes. There are over a million people with doctor diagnosed MCS in Canada, and so many more all around the world. 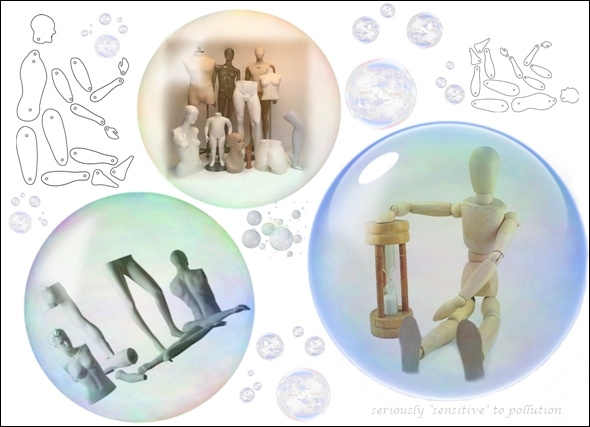 The term ‘sensitivities’ seems to trivialize the condition in many people’s minds. You may wonder what’s it really like then, if it’s not trivial? 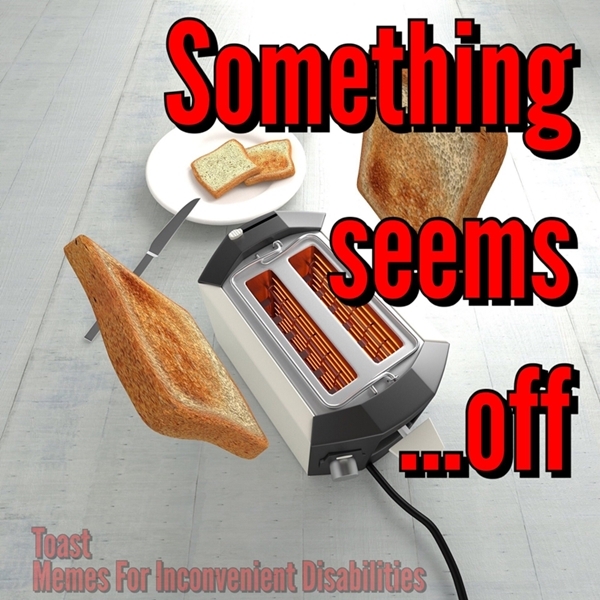 Having MCS means never knowing when you can manage something as simple as making toast. • Can’t stand up due to pain.